May 8 marks the 70th anniversary of Victory in Europe (VE) Day in 1945.
or you are just interested in the time period, access is FREE from May 1st to 15th. Event is free of charge! Click for more details. in 1862 as the first self-governing town of formerly enslaved people in America. South Carolina Genealogical Society, Inc.
No yard sale items this year; you all enjoy the Big Grab! and The Church of Jesus Christ of Latter-Day Saints, Ridgeway Ward. 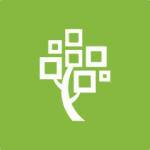 and is an excellent supplemental search site for anyone getting started in genealogy. Space is very limited. Please email to reserve your place in these free workshops. Space is very limited. Please email to reserve your place in this free training. Details: Email or Call (803) 635-9811.